If you have the hankering for some good fishing in Skagway, AK, look no further. 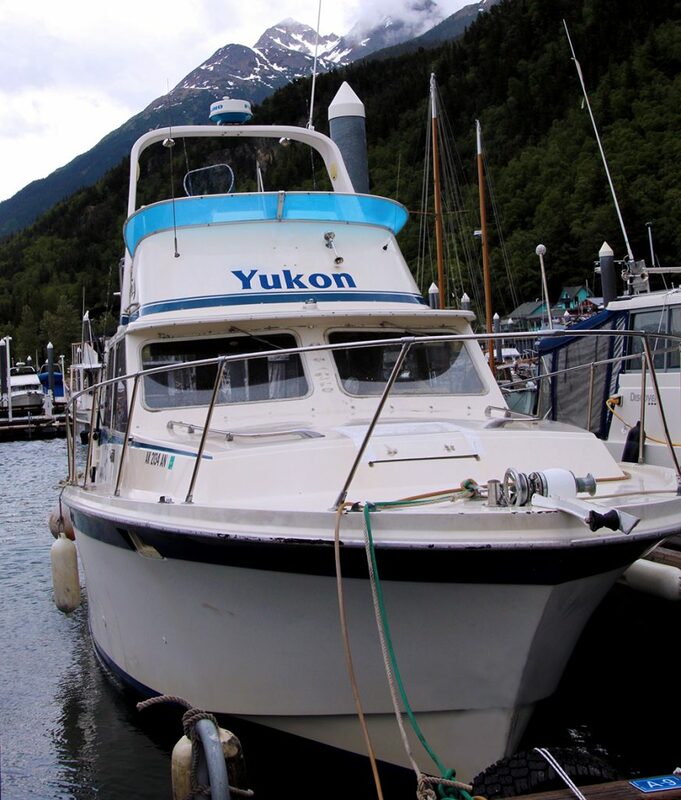 Our one and only recommendation is Captain Bernie Warchuck of Skagway Fishing Charters. Captain Bernie Warchuck is a Certified Master USCG Captain who has been fishing the waters surrounding Skagway for over 15 years. Having grown up in Michigan, he spent a good part of his life on the Great Lakes and fishing was always a part of his life. He has always been an enthusiastic boater who strived to spend every available moment on the water. These days, he stays busy providing KING SALMON CHARTERS to visitors of historical Skagway, AK. There is no better place to spend each day than on the beautiful Taiya Inlet or Upper Lynn Canal. The views are breathtaking and nature abounds! Captain Bernie enjoys all of the adventures and opportunities Alaska has to offer. He is a contributing sponsor of the Salmon in the Classroom program and an active participant in the annual Pat Moore Fishing Derby held in Skagway. When he isn’t fishing, he spends time with his wife and grandchildren here in Skagway, AK. If you’re looking for fishing near the Anchorage, AK area, please see this article. Skagway, AK fishing can be good and that’s why we recommended our friends in this article. 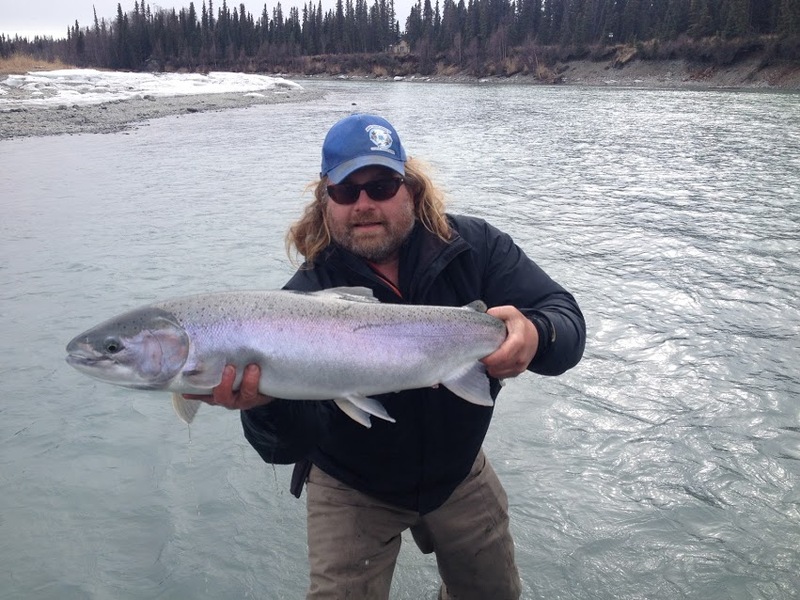 But if you’re looking for some down right awesome and exciting fishing you need to head over to Cooper Landing, Alaska on the Kenai Peninsula and hook up with Jason’s Guide Service. Skagway has a variety of tours to choose from, and picking the right one can be a daunting task. Think of this list like the Superlatives from high school. We’re not just giving you a Top 5 list, we’re giving you the best shore excursion for your group. Take a look at the tours below, and you’ll have a much better idea of how you should spend your time off the ship in Skagway. This tour is the #1 rated activity on TripAdvisor, and for good reason. The setting is picturesque, the ziplines are fast, and the guides are awesome. This tour is a favorite for family reunions because it’s able to accommodate almost everyone (barring those with a severe fear of heights!). The course has seen people from 6 to 96 (not kidding! ), and the guides are highly trained in safety and bad jokes. You’ll go down 9 different ziplines (plus 1 or 2 training lines if you’re a scaredy cat). The fastest one has a top speed near 40 miles per hour and the longest is over 2 football fields in length. The harnesses and guide-operated braking system on this course mean you can get crazy! If you’re up for it, the guides will teach you tricks like hanging upside-down and front flips, all while soaring above the Alaskan rainforest. The age limit is 6 and the weight limit is 50 to 265 lbs, but exceptions may be made for both. The guides’ biggest concern is safety, and they try their hardest to never turn anyone away unless it would be unsafe for that person to participate. Cost: $169 for adults, $149 for children 12 and under. Hopefully this list helps you narrow down your Skagway tour options. But if you have any questions, or are wondering what else Skagway has to offer, shoot us an email. We’d be happy to help. State’s tourism campaign in 3 Indian cities has worked. Tourists from India seem to have found a new favorite vacation destination: Alaska. The Anchorage tourism division, Visit Anchorage, mounted large campaigns in 2012 in key cities across India and South America, with the goal of spurring more visitors from those parts of the world to their state. The move looks like it worked, as the tourism board is reporting significant increases in the number of visitors they receive from those two regions. Visit Anchorage credits the vast openness and quiet of Alaska as motivating factors that bring in people from Indian cities, which are loud and hugely over-populated. The organization has partnered with several local and state governments in India to promote Alaska, with campaigns still going on; the most recent was last month, from December 11-16, in Bangalore, Mumbai, and New Delhi. Still, the Indian fever for Alaskan cold hasn’t caught on enough for the country to crack the list of top five tourist home countries. About 10% of visitors to Alaska come from outside the US and Canada, with the most frequent countries being Australia and New Zealand. The next country up in terms of how many tourists it sends to Alaska is the UK, following by Germany, Austria, Switzerland, Japan, and South Korea. As a result of the influx in Indian visitors, Anchorage — the most populous city in the state – has even seen an increase in the number of Indian restaurants there are in the city. 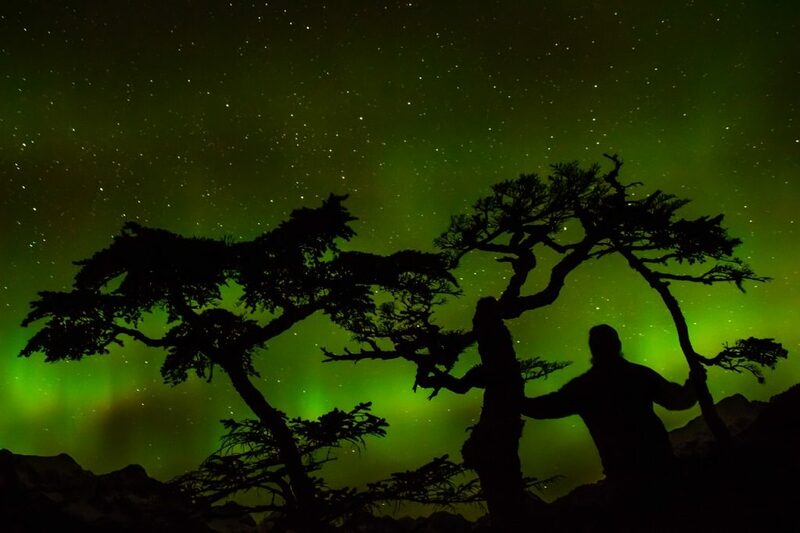 Additionally, many Indians are coming not just for sightseeing, but also for specific events, such as the annual Iditarod dog-sledding race and to see the Northern Lights. The majority of tourist who come do so on cruises, typically from Seattle or Vancouver. The majority of tourists to Alaska, regardless of home country, take cruises to get there. In 2012, around 51% of the 1.85 million people who visited the state that year came on a cruise ship. Alaska parents are nothing if not perpetual planners. We have to be. Skilled masters of calendaring everything from fishing trips to hockey tournaments, moms and dads across the 49th state know the right time to jump on a good deal, and that time is right now, thanks to last week’s release of the 2016 Permanent Fund dividend amount. With a bit of research, patience and a dash of impulsiveness, quite a bit. Kids have school in-service days coming up, and long holiday weekends are around the corner. Perhaps it’s time to invest in places rather than things. *Tips: Don’t delay, especially when booking air travel out of Alaska. Be flexible with departure and return dates, as the savings can be significant. Consider visiting a destination you’ve never been; some of our favorite family memories were built on small towns, obscure drives, and local parks. And parents of Alaska school-age children need to remember that travel using the PFD airfares is blacked out over Thanksgiving, Christmas and spring break. *Anchorage-Fairbanks, $77/one way on Alaska Airlines. Short on time or looking to show your kids Interior Alaska? A trip to Fairbanks means ample space at the Fairbanks Children’s Museum, Morris Thompson Cultural and Visitor Center, the University of Alaska Museum of the North, Chena Hot Springs and Creamer’s Field Migratory Bird Refuge. Stay at Pike’s Waterfront Lodge and take advantage of their Alaska resident rates and a view of the Chena River. OF ALL THE PLACES TO STAY IN FAIRBANKS, WONDERING IF IT MAKES SENSE TO SINGLE OUT ONE? Pioneer Park, the former Alaskaland that many people remember, also has a wealth of special events throughout the fall and winter. Visitor information is available atwww.explorefairbanks.com. *Anchorage-Juneau, $117/one way on Alaska Airlines. Alaska’s capital city offers a wealth of recreational activities year round. Rent a car and hike the trails of Eaglecrest Ski Area, or visit once the snow flies and ski this family friendly hill. Drive out to Mendenhall Glacier Visitor Center, part of the Tongass National Forest, and walk the Trail of Time, tracing the retreat of the glacier, which got under way in the mid-1700s. Don’t forget to explore the visitor center too, and catch a film about the glacier, the Juneau Icefield and Southeast Alaska’s rugged geology. The Alaska State Museum is also a sure bet for families now that the facility has been completely remodeled to make it more appealing to younger visitors. Open Tuesday-Saturday, 10 a.m.-4 p.m. during winter hours. Admission is a mere $5 for those at least 18; everyone else is free. www.traveljuneau.com. 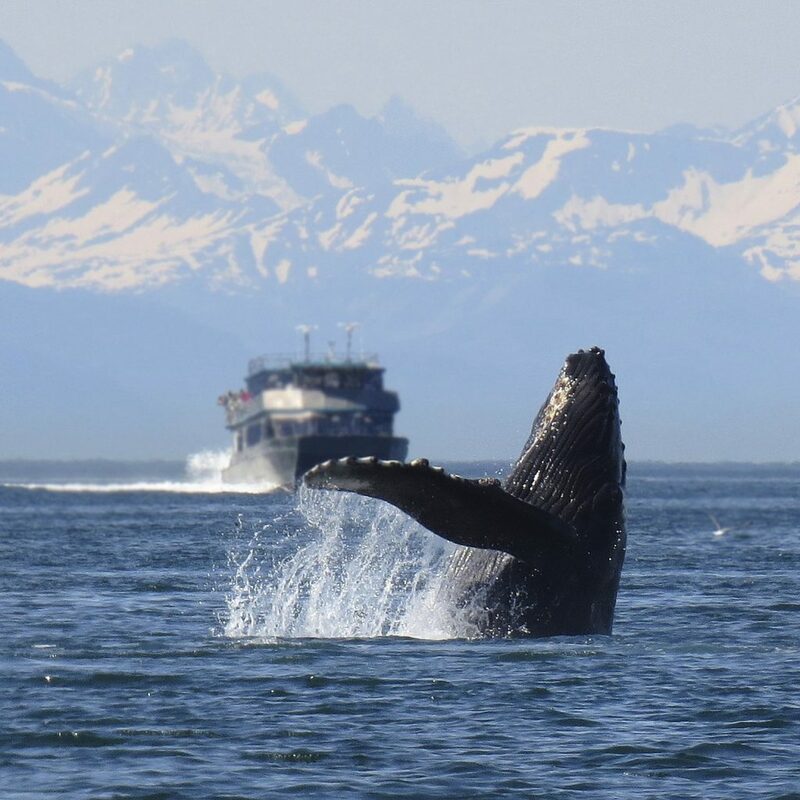 *Anchorage-Seattle, $99 one way on Alaska Airlines andDelta Airlines. Make a long weekend out of this affordable airfare with a stay in Seattle and surrounding areas. Woodland Park Zoo near Seattle’s Greenlake neighborhood is an easy day trip, and the park’s ample green space is a fun way to run off any extra energy. Closer to downtown lies enormous Discovery Park, with exceptional trails and access to sandy beaches for playtime. Explore the Discovery Park Environmental Learning Center, or take a guided hike from a park naturalist before munching on a picnic lunch down by the beach. Find lodging, transportation and other activities at www.visitseattle.org. The Rose City always shines, even when often-gloomy fall and winter weather drips and drops with rain. Featuring an expansive and easy to navigate light rail system, Portland is fun for kids and affordable for tight transportation budgets. There are so many things to see in this hip city; the Oregon Zoo, OMSI (science center), and Voodoo Doughnuts, but it’s the 4T Trail that always captures our interest, every time. Utilizing the “Ts” of Portland: trains, trails, trams and trolleys, the 4T provides everything kids want in an adventure. It’s an excellent all-weather, any-time-of-year glimpse into Portland’s neighborhood scene and the hundreds of parks and trails within city limits. https://www.travelportland.com/article/4t-trail/. *Anchorage-Las Vegas, $149 one way on Alaska Airlines. Take your kids to the bright lights of Vegas, but be sure to get out of town and head toward the fascinating landscape of Nevada and Arizona. Hoover Dam, one of mankind’s biggest engineering marvels, is a short drive away. With cooler fall and winter weather, it also has fewer crowds this time of year. Grand Canyon National Park and Zion National Park are easy drives from Vegas too. There, young adventurers can hike and climb and learn more about the beautiful desert landscape and ancient history of this region. (www.nps.gov/grca and www.nps.gov/zion). Seeking something really different? Head toward Yucca, Arizona, and saddle up with Stagecoach Trails Guest Ranch. Fall and winter are its most popular seasons, with sunny days and cool, crisp nights on the range. www.stagecoachtrailsranch.com. Erin Kirkland is author of Alaska On the Go: exploring the 49th state with children, and publisher of AKontheGO, Alaska’s only family travel resource. Connect with her at e.kirkland0@gmail.com.